The Everything Bubble chronicles the creation and evolution of the US financial system, starting with the founding of the US Federal Reserve in 1913 and leading up to the present era of serial bubbles: the Tech Bubble of the ‘90s, the Housing Bubble of the early ‘00s and the current bubble in US sovereign bonds, which are also called Treasuries. Because these bonds serve as the foundation of our current financial system, when they are in a bubble, it means that all risk assets (truly EVERYTHING), are in a bubble, hence our title, The Everything Bubble. In this sense, the Everything Bubble represents the proverbial end game for central bank policy: the final speculative frenzy induced by Federal Reserve overreach. 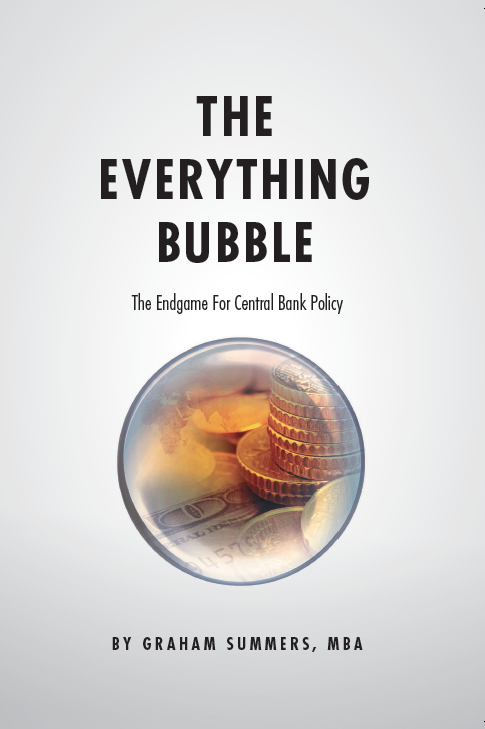 The Everything Bubble book is the result of over a decade of research and analysis of the financial markets and economy by noted investment analyst, Graham Summers, MBA. As such, this book is intended for anyone who wants to understand how the US financial system truly operates as well as those interested in the Federal Reserve’s future policy responses when the Everything Bubble bursts. To that end, The Everything Bubble is divided into two sections: How We Got Here and What’s to Come. Combined, these sections represent a blueprint for all things finance and money-related in the United States. This knowledge is now yours. 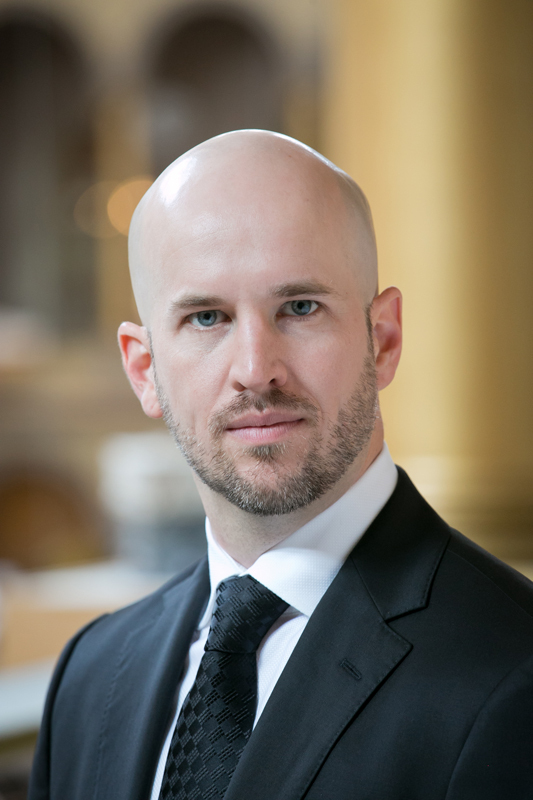 Graham Summers, MBA is a Fuqua Business School MBA graduate, with over a decade of experience in business strategy, financial research, global consulting, and business development. Graham has been a C-level executive for over half of his professional career, and has led the conversion of start-up companies into multi-million dollar generators. An acclaimed communicator and strategist, Graham’s cutting edge business and research insights have been featured in several media outlets around the world including: CNN Money, Fox Business, Rolling Stone Magazine, Crain’s New York Business, MoneyTalk Radio, and The Huffington Post among many others. One of my biggest pet peeves is the ignorance of most Americans concerning how the US financial system works. I want to be clear here; I’m not using the word “ignorance” as an insult. The reality is that the US education system, for whatever reason, doesn’t spend any time on things like financial literacy or economic history. Perhaps this is intentional? I don’t know. All I do know is that most people know almost nothing about the economy/financial system they live in. Given how important one’s financial decisions are to one’s well-being, this is unacceptable to me. With that in mind, I wrote this book for anyone who wants to understand how our current financial system came to be: Who were the key characters involved in setting it up? Why did they do what they did? How did the system evolve to the way it is today: a period in which we seem to move from one crisis to another every few years? I intentionally wrote this book in a straight-forward and informal tone. I want you to feel as though we’re sitting talking about these things over drinks. Finance and economics are not complicated; my industry intentionally makes them sound that way so most people are kept in the dark as to what’s going on. I don’t buy into that line of thinking, which is why this book is written in such a way that you can know literally nothing about these topics and you’ll understand what I’m talking about. I also wrote this book for those who want to know what’s coming down the pike. The reality is that our current era is not normal by any stretch of the imagination. It is not coincidental, nor random, that we’ve been careening from one crisis to another since the late ’90s. And our current trajectory is leading us towards another crisis, which I believe will be even worse than what happened in 2008. This is not meant to be some kind of “gloom and doom/ the world is ending” prediction. Rather, it is a natural progression of the last 20 years of our Central Bank, the Federal Reserve’s, policies as this book will lay out. With that in mind, the second half of the book is dedicated to outlining what the next crisis will look like, as well as how the Federal Reserve will respond to it. As such, this portion of the book can serve as a road map for those who want to understand what’s coming down the pike. In total, this book is the culmination of over a decade of research all distilled in simple, straightforward, and I hope, entertaining language. © 2017. The Everything Bubble | All Rights Reserved.